As a speaker, one of my favorite things to do is encourage the audience to “dream big.” Too many times we put God in a box. We’re afraid to step out of our comfort zones. We forget that God created the universe, so surely He can help us with our small dreams. There are many dreams God has helped me fulfill: starting a crisis pregnancy center, leading a mission team to Europe, and writing books for a living, to name a few. So I like to encourage others to dream big since I’ve seen dreams come true in my life. Yet lately I’ve been adding a P.S. to my message. Why? Because in my good intentions, I may have led people to become discouraged instead. One of the problems with the message “dream big” is that we let our human minds measure what “big” is. We think it has to be fame or success or a huge blog. We think it has to involve starting a ministry or sharing Christ in an atheistic country. This doesn’t always have to be the case. What is “big” to God? The “big” thing to God is obeying what He asks you to do. You could become famous, make it big, and become well-known—and it would amount to nothing. Or you can ask God what big is to Him. You might be surprised. A few years ago, my husband and I felt God telling us to walk away from some of our ministry opportunities in order to adopt two children from the foster care system. I will not become famous wiping noses, playing mommy, or pushing a swing, but to God this is a big thing. And now we are in the process of adopting four beautiful girls from foster care! What is big to God in your life? It’s a question you need to ask. It’s wonderful to dream big …. 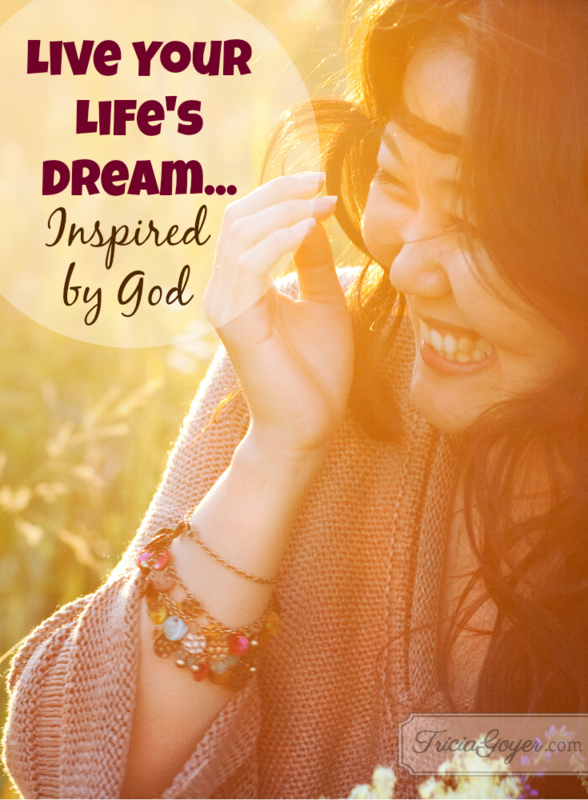 just as long as you are sure you know that the direction of your dream was inspired by your loving heavenly Father. Faith step: Take a minute and think about the dreams God has been speaking to your heart. Write them down, even though they may not seem big to the world’s eyes. Now, what is one step you can take toward them? Write that down too. I love this, Tricia! Thank you!